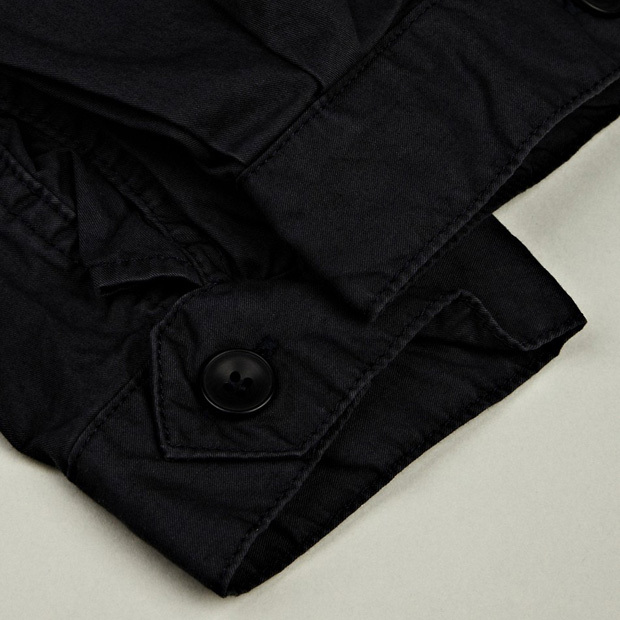 As part of their AW12 collection, Tokyo’s nonnative created this hooded over-shirt in a very deep navy. 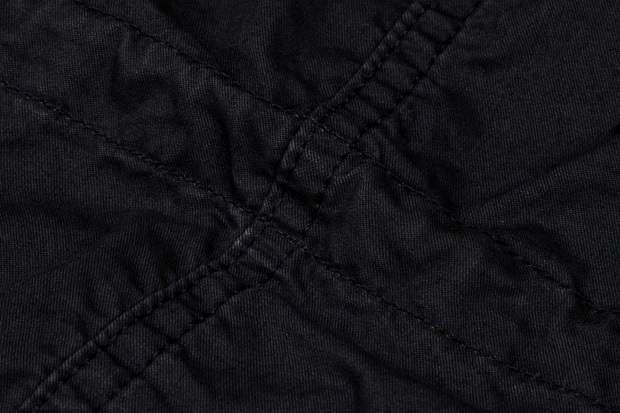 Made from fine cotton twill, the jacket has a slight sheen to it, which only emphasises the dark colour. 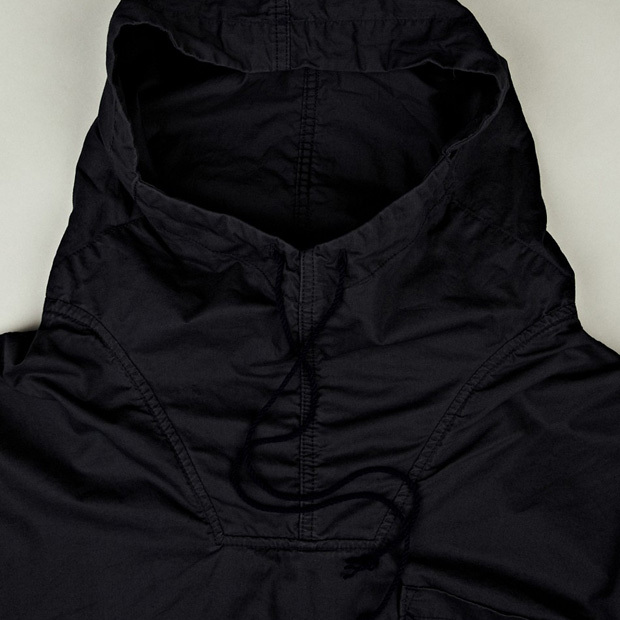 A deep hood with zip and long pull chords create the basic character of this piece, where as the buttoned cuffs, small chest pocket and drawstring waistline really make the garment. 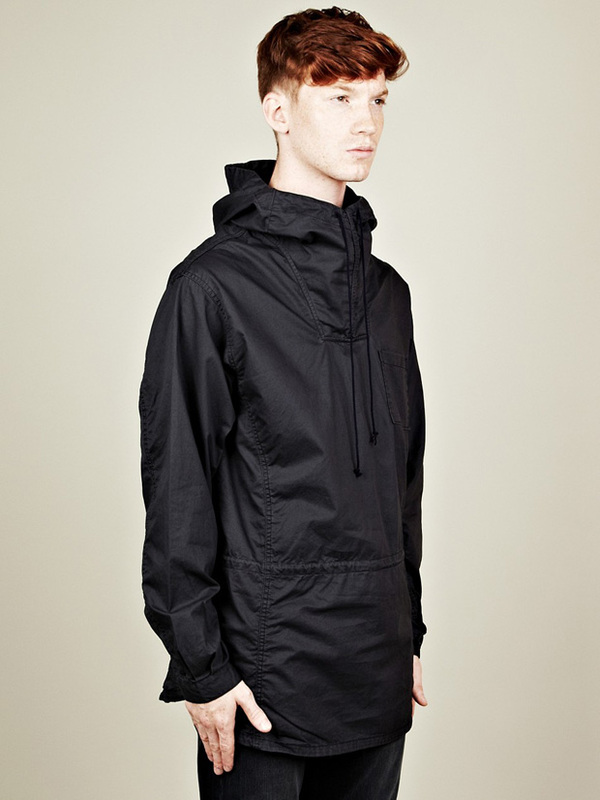 A very understated piece of design, this classic hiking inspired item is much more a cagoule than a shirt, but nonnative feel otherwise. The slightly aged, washed quality of the cotton stops this item from looking too shiny and new, adding to the retro characteristics. 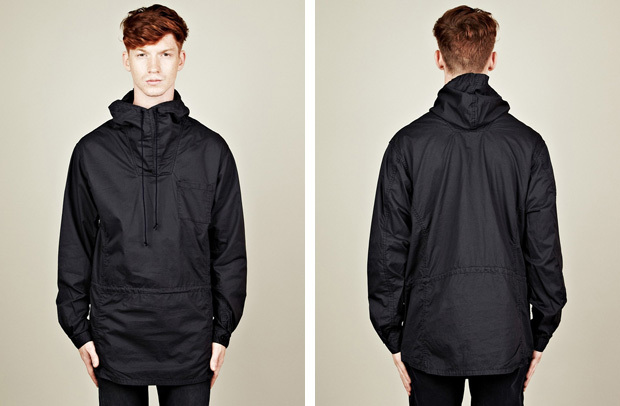 Head over to oki-ni where you can find this for £355. I like this, but £355!! !